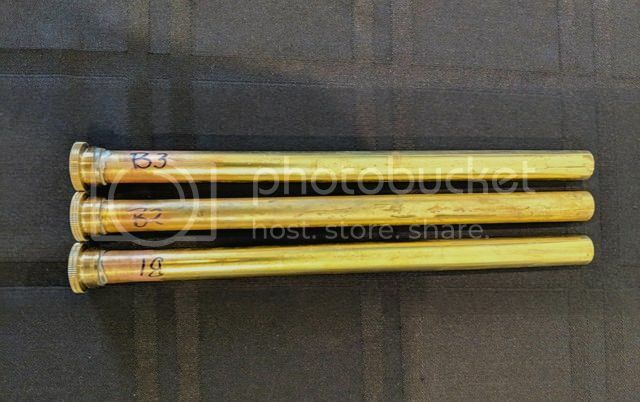 I am selling three brand new Edwards bass trombone leadpipes. 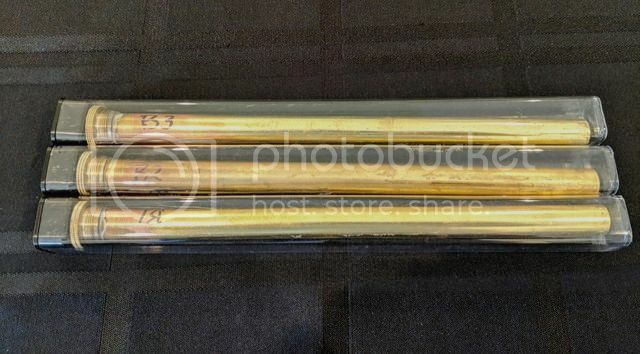 They are all standard length brass leadpipes, a B1, B2 and B3. They are brand new from the factory, never played. Shipping in CONUS is included and the leadpipes will come in the plastic tubes they're encolsed in from the factory. 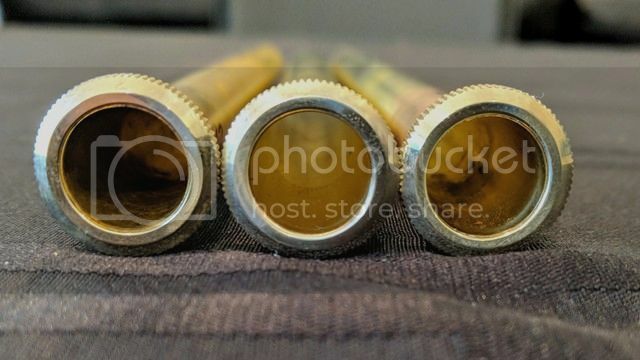 These retail at $105 each, here's a chance to get perfect condition new leadpipes at a discount. Asking $80 each or discounted package deal at $200 for all three. Other offers considered.